Autism Spectrum Disorder (ASD) is a complex neurodevelopmental disorder that affects behavior, communication and social functioning. According to the latest figures from the U.S. Centers for Disease Control and Prevention, an estimated 1 in 68 children in the U.S. have ASD. Psychologists can play an important role diagnosing ASD and helping people cope with and manage the challenges associated with the disorder. As the term “spectrum” suggests, ASD symptoms exist along a continuum. Some people with the disorder are able to succeed in traditional schools, hold jobs and perform functions of daily living with varying levels of support. Others have significant intellectual impairments and will need extensive support and assistance throughout their lives. While ASD is a diverse disorder, the condition is commonly characterized by certain repetitive behaviors and difficulties with social interaction and communication. Failure to engage in typical babbling or pointing in infancy. Failure to make eye contact beginning in infancy. Failure to respond to one’s own name. 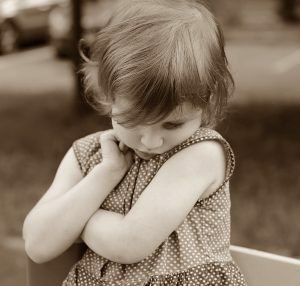 Loss of previously acquired language or social skills, usually during the second year of life. Unusual responses to sensory input. Unusual movements such as rocking, twirling or flapping arms. Difficulty playing with or interacting with peers. Difficulty understanding tone of voice, body language and gestures. Obsessive interest in a particular topic. Although ASD can be diagnosed as early as 15 to 18 months of age, the average age of diagnosis is about 4.5 years, and some people are not diagnosed until adulthood. That’s unfortunate, as prompt diagnosis is important for early intervention. Research has shown that intensive early intervention can make a big difference in the outcomes for people with ASD. If you suspect your child shows signs of the disorder, don’t put off testing. ASD is a neurodevelopmental disorder, and it is thought to have a strong genetic component. However, medical tests such as blood tests or brain scans cannot currently be used to diagnose ASD. Instead, healthcare providers diagnose the condition based on the patient’s history and behaviors. Various experts can make this diagnosis, including some psychologists, pediatricians and neurologists. Psychologists (including neuropsychologists, who specialize in the relationship between the brain and human cognitive, behavioral and emotional functioning) are often involved in the diagnostic process. It is important that the expert making the diagnosis has extensive experience working with the wide range of symptoms associated with ASD. Observations of the patient’s behavior. Tests of cognitive and language abilities. Medical tests to rule out other conditions. Interviews with parents, teachers or other adults who can answer questions about the patient’s social, emotional and behavioral development. Given the complex nature of the disease, children with ASD benefit from interdisciplinary treatment teams made up of experts from various fields. Those teams typically include physicians, educators, speech therapists and occupational therapists, in addition to psychologists. Applied behavior analysis (ABA). ABA is a method that uses evidence-based teaching techniques to increase helpful behaviors and reduce behaviors that are harmful or interfere with learning. ABA therapy has been shown to improve communication, social and vocational skills. Developmental individual-difference relationship-based model (DIR). In the DIR model, also known as floor time therapy, parents and therapists follow the child’s lead in playing together while also directing the child to engage in increasingly complex interactions. TEACCH Autism Program. The TEACCH framework promotes engagement in activities, flexibility, independence and self-efficacy through strategies based on the learning strengths and difficulties of people with ASD. It’s important to have your child evaluated by a provider trained in diagnosing and treating autism, so that he or she can recommend the most appropriate interventions. Such interventions can be administered by psychologists, as well as by educators and board-certified behavior analysts. Psychologists also play an important role in helping children of all ages as well as adults with ASD manage specific challenges associated with the disorder. When psychologists diagnose ASD or meet with a patient with ASD for the first time, they typically perform a comprehensive evaluation. That evaluation acts as a roadmap that identifies the patient’s strengths and areas of need to help guide treatment. Each person with ASD is different and has a range of strengths and challenges. Psychologists can make recommendations based on an individual’s cognitive, behavioral, emotional and academic needs. Those treatment plans can help ABA therapists, educators and others capitalize on the individual’s strengths and accommodate any challenges. ASD is a condition that lasts a lifetime. As patients grow, psychologists create new treatment plans to help patients and their families succeed at key transition points such as starting school, entering adolescence or moving into adulthood. Treatments to help people with ASD manage anxiety or mood disorders such as depression. This often includes modified cognitive behavioral therapy, a method that helps individuals change negative thoughts and behaviors. Treatments to help manage sleeping and feeding problems that often coincide with ASD. Social skills groups to help people with ASD improve conversational skills, nonverbal communication and play. Individual psychotherapy to help adults with autism improve marital and other family relationships and improve life skills necessary for employment. For people with more severe cognitive impairments, interventions to decrease aggression and self-injury and improve compliance. The goal of psychotherapy may not be to cure ASD, but to help people with ASD function at their best and cope with challenges. Would you like a copy of this article? You may download a PDF of “Diagnosing and managing autism spectrum disorder (ASD)” from the American Psychological Association Help Center online. Source: American Psychological Association |Diagnosing and managing autism spectrum disorder (ASD), https://www.apa.org/helpcenter/coping-after-suicide | © 2019 American Psychological Association, reprinted with permission.